Matt Stauffer: Welcome back to Laravel Podcast, season three. This is the second interview, episode three, where we're going to be talking to Neo Ighodaro, big man around town in Laravel Nigeria. Stay tuned. All right. Welcome back to Laravel Podcast! 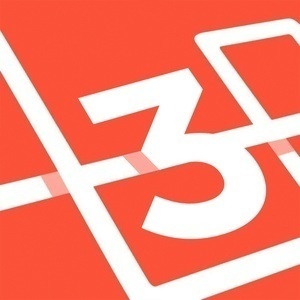 I've got to figure out how to number these things because technically, this is episode three because the first one was a preview, but that confused a lot of people, so welcome back to the second interview of season three of the Laravel Podcast. I have my actually relatively recent friend with me. His name's Neo, and I've been pronouncing it Ighodaro the whole time. Is that actually how to say it? How do you say your name? Say it, not me saying it. Neo Ighodaro: Yeah, you're actually saying it correctly. Matt Stauffer: Could you say it, though? I want to hear you say it. Neo Ighodaro: Okay. Natively, the "g" is silent, so it's more like I-ho-da-ro, but a lot of people call it Ighodaro and I kind of feel more comfortable with Ighodaro because it sounds better, in my opinion. Matt Stauffer: So, if I tried to say it without the "g," you'd actually prefer I say it the way I just said it? Neo Ighodaro: With the "g."
Matt Stauffer: Okay. I have some friends.. one of my friends whose name is Al-bear-to ... I don't even know the Spanish pronunciation. Matt Stauffer: I would try to learn how to say it, right? "Al-bear-to." He's like no, no, no. Just call me Alberto (pronounced like an American) and I was like, "But that's not your name," and we had kind of this big back and forth and what he ended up saying was, "When an English-speaking person says it in an English sentence, I prefer it to be the English pronunciation, and then when a Spanish-speaking person says it in a Spanish sentence, I prefer it to be the Spanish pronunciation." I've never heard anybody say that before, because I'm always like, "I don't care. I want to pronounce your name the right way," but for me, more important than the right way is what you want, so I'm here. I'm with you. Neo Ighodaro. It’s fantastic to have you on. If anybody hasn't heard about Neo before, the way that he has most primarily been known in the Laravel world is because he is one of the three organizers. I don't know ... who's the founder? Are all three of you the founders, what are you the founder and now three of the organizers? How does that work? Neo Ighodaro: I and Prosper basically are the founders, so we just got together and started it. We decided to get people on board, so Lynda was the third person. Now, we have a couple of other people who are silent organizers, but they help out every single time we have a Meetup. Matt Stauffer: Okay, and by the way, I didn't actually finish my sentence before I asked you one because I interrupt myself. The "it" that Neo and I are talking about is Laravel Nigeria, which is this kind of Meetup, but it's kind of a conference, because it's as big as all the other Laravel conferences, even though they're calling it a "Meetup," but people are traveling from five hours away. It's a really big deal, so we'll talk about that maybe a little bit later. But what I told Neo beforehand was, "This is not actually about that Meetup. This is not actually about you being the CTO of a big tech company. What this really is about is knowing you as a person and what you're about," and if anybody listened to the Taylor interview I did before, we didn't talk so much about Laravel. We talked for a little bit about just kind of Taylor and where he comes from, so maybe we'll down the road there, but the tiniest little bit of context, he's one of the two founders. He's one of the three formal organizers, and there's also some silent organizers of Laravel Nigeria. If you haven't looked it up, I'll put a link to a write-up that he did in the show notes, but you're just seeing hundreds and hundreds and hundreds of people once every couple months come together and teach and learn. There's actually a couple of your talks that are online, so I'll make sure to link a couple of those that I think Pusher's hosting. You can hear him speak. You can see what he's organizing. He's the CTO of Hotels.ng, which is a really big tech company out of Nigeria and y'all are in Lagos, right? Ah, pronunciation. Neo Ighodaro: We're in Lagos. Matt Stauffer: More of them. I've been saying "lay-goes" like "go," but then last night, I looked it up and they said "lay-guhs," not "goes", so is that another one? Matt Stauffer: Oh, I'm murdering these things. Matt Stauffer: I also, several times when we were first talking, I would refer to Lagos as if it were only a city, not knowing it was both a city and a state, so it's kind of like a New York, New York thing, right? Like New York is both a city and state, Lagos is also a city and a state. Now I know these things. Matt Stauffer: The tiniest bit of context, and I want you to teach me a little more, because basically over the last week, I've been Wikipedia-ing all these things, is that Nigeria's the biggest economy in Africa and then Lagos is the most significant economy in Nigeria. Then Lagos city is such a significant economy that it would have been one of the biggest economies in Africa just as a city alone, and it is the twentieth largest economy of any city in the entire world. This is a significant thing because I think a lot of folks, they understand some general names, some general locations, some general cultural concepts of various African cities and states and countries, but I don't know if they have that much context, understanding that this is a huge place. Are you actually in the city, or are you in a different city in the state? Neo Ighodaro: Lagos, as a whole, like you said, is a city and a state. It's a city and a state because it's quite small geographically. It's really small, so you can't really call it a state and it's so small that you can't not call it a city, I mean, and it's so small in the sense that you want to call it a state because officially, it is a state, but I mean, it's just so small for you to call it any other thing. Matt Stauffer: Now, is it like Singapore, where if you're in the state, you're also in the city? Neo Ighodaro: Yeah. Pretty much. Matt Stauffer: I assumed that there were other cities within the state? Matt Stauffer: So, if you're in Lagos the state, you're basically in the city? Neo Ighodaro: They're just ... we like to call them local governments. Matt Stauffer: But all those regions are within the city? Neo Ighodaro: Within the city slash state. Matt Stauffer: Okay, so it is a little bit like Singapore in that way. When I think of big cities, I spent a couple years living in Chicago, so I think about Chicago as being a very large city, so Chicago has three million people. It has, I think, I'm trying to remember how many square ... 230 square miles and so Lagos has 16 million people and it has, I think 400 and something square miles, so we're talking many, many, many times the size of Chicago. Also, it's a city, it's a state, and it's all these kind of things, so I think just getting that kind of out of the way and understanding those things helped me a little bit of the context of why when I was like, "Oh, yeah. You're in Lagos," you're like, "Yeah, but" ... We've got to talk a little bit more than that. -So, you are in Nigeria. You are the CTO of Hotels.ng. You are doing all this kind of stuff, so let's actually get to the meat of it. First question: When did you first have access to a computer and where was it, and for what reason? Neo Ighodaro: I would say when I was about 13. Back in the day before internet was quite popular in Nigeria, it was really, really difficult to get your hands on a computer, so I think one of those cybercafes. They're not really cafes in the sense of it. It's just basically a shop where you have a bunch of computers and then you pay some amount of money to get access to those computers to use their internet. I think one of those days, I was about 13, and I got some extra money and I just went to the internet. It was mostly to chat, though. Matt Stauffer: What was the chat protocol that y'all used back then? Matt Stauffer: I remember that. Neo Ighodaro: Or one of those ones. I was always on them. Matt Stauffer: Did they have computers in your schools at that point, or not until later? Neo Ighodaro: It's kind of tricky because we did have computers in the school, but it was not computers for everyone. It's privileged access at the computer. Neo Ighodaro: Yeah. It was horrible. Neo Ighodaro: No, it's fine. Matt Stauffer: What privilege gives you access? Is it a particular type of study or something else? What privileges someone to get to use the computer? Neo Ighodaro: Back then, the first thing is ... we had this computer science subject, basically, where we had to learn about computers, but they usually just write it on the board and like, "Okay, this is a CPU. This is a disk." Was it disk? Did we call it disk back then? What's the name of that thing, the square thing where you save stuff? Matt Stauffer: Oh, you mean a floppy disk? Neo Ighodaro: Once in a while, maybe once in an entire term, they'd be like, "Let's go to the computer room," and then we go and we see them. We don't touch them. Neo Ighodaro: You're actually forbidden to touch them. Neo Ighodaro: You see them and they're like, "Oh, that's the CPU they were talking about. Oh, it looks so cool," but looking from five meters away like, "Yo. Don't touch it." Matt Stauffer: Now, why was it that you couldn't touch it? Was it because there were so few that they were precious, or was there something else going on? Neo Ighodaro: Yeah, yeah. Pretty much. It was more like a new thing back then, so they were pretty expensive. Neo Ighodaro: If you became a prefect, for instance, we have this thing where certain students, depending on your academic abilities or your leadership skills, you become a prefect, so to speak, and then you'll be able to have access to certain things that other students didn't have. Neo Ighodaro: As a prefect, I was able to have some access, limited access. Matt Stauffer: But it was still very limited, so it was really the cybercafe that gave you the space to do what you wanted to do. You started out chatting. When did you transition from chatting to thinking that you were going to be able to create something? Neo Ighodaro: One of those days, I decided to check out an internet café and that was it. I just liked going there. I felt safe there. I could literally just bury myself in whatever I was doing and not worry about anything else. Matt Stauffer: That's really cool, so you spent more and more time there, even skipping class to go there. You were chatting originally, but what was the moment or was there a project, or what kind of piqued your interest in creating something on the web? Neo Ighodaro: I don't really remember the thought process, but I remember thinking at some point ... I saw this one guy. He went to the café to, I don't know what he was doing there, but I saw him typing some random stuff and I was just like, "What is this guy doing? It doesn't seem like English." It just looked random. I walked up to him and I was like, "Hey, dude. Sorry, but what are you doing?" and he was like he's learning how to program. That was the moment I just thought, "Okay, program. What exactly is a program?" I'm not sure if Google was a thing then, but I know I was using Yahoo Search a lot, so I tried to Google and I stumbled upon the word HTML. One thing led to another and I started thinking, "Hey, how is yahoo.com actually made?" Neo Ighodaro:"I could probably learn how to make HTML." That was pretty much the thought process and one thing led to another. I just kept on going and finding out more about HTML. I literally did not know the meaning. I didn't actually care. I just wanted to learn the thing. Matt Stauffer: That's fascinating, so you learned enough that I'm sure you were making your own little local HTML things. Do you remember what the first page you made was about? Neo Ighodaro: Oh, it was a personal page, obviously. Neo Ighodaro: Where you just go and then they give you a sub-domain and a name and then you just kind of mash up the HTML in there. I created one of those and I remember there was this guy. I've forgotten his name, but he was a really big influence back then. There was the time of Greymatter. I don't know if you've heard of it? Neo Ighodaro: It was a blogging platform. It was close to what we have in WordPress, but it was called Greymatter. I think his name is Tony. He used to create all these blogs and then there were a lot of young people and they had a lot of blogs that they created. They create these blogs and then they just write random stuff in it, but I was more interested in how the blogs looked. They looked so beautiful and I was like, "Why does mine just look like a bunch of marquee running around the screen?" Neo Ighodaro: I was forced to learn design, so I had to start digging in. I heard about Photoshop, so I picked it up. Matt Stauffer: I love that you got there because when we first met, I went over to CreativityKills. Would I be right to describe CreativityKills as essentially your freelance web development kind of company? And I don't even know freelance, but your web development consultancy that was your main thing before you started working at Hotels.ng, and you still kind of keep it running on the side? Is that a good description for it? Neo Ighodaro: Yeah, pretty much. Matt Stauffer: What I noticed there ... I went to portfolio, and the moment I see ... I think it was portfolio or work or something, but what I saw instead of code or descriptions, was I saw screenshots. The moment I see that, I say, "This person's probably a designer," and the design was good too, so you're not just a programmer. Tell me how do you think of yourself? Do you think of yourself as a designer and a programmer? Have you trained in one more than the other, or do you think of yourself as a hack in one and really good at the other? How do you kind of approach your skillset? Neo Ighodaro: I think to really answer the question, I have to go a little back to the origins. Like I said, I learned about you have to design your sites for it to look good. I was like, "How do I get there?" and I heard of Photoshop. I started going to the cybercafes. Instead of learning how to write HTML, I was learning how to design, so it was a hassle, to be honest. It was really difficult because you had 30 minutes to learn, literally 30 minutes to learn everything you wanted. I basically started learning and a couple of people just noticed that I come regularly and some people just randomly gave me some extra time. Matt Stauffer: That's going in the show notes. That is going in the show notes. Matt Stauffer: Did you have a thumb drive that you were saving everything on, or how did that work? Neo Ighodaro: Every single time. Matt Stauffer: Oh my gosh. Neo Ighodaro: It was hectic. Matt Stauffer: You taught yourself how to design, so both in terms of design and HTML, I'm assuming that ... because I know that when I started, there weren't a lot of books around teaching this. Were you learning it purely online and, if so, do you remember any of the sites you used to learn? Neo Ighodaro: I remember the site I used to learn how to make my first-ever graphic, but I don't think I really learned any of the other ones, I mean, the tool sets and everything, using any site online. I was basically just "mash, mash, mash." It's "mash, mash," and it worked, I'm like, "Oh." Matt Stauffer: View source, copy, paste, modify. Neo Ighodaro: Exactly. Something like that, so I was just editing. I would just pick a tool and drag it across the screen. I was like, "Try to figure out what does this do." But the first night I learned about actually making vector images was vexiles.net. I don't know if they're still around right now, but it taught me how to take a picture and turn it into a kind of vecto graphic. Matt Stauffer: Trace it with the ... what are those things called? The pen tool and everything like that? Matt Stauffer: Very cool. I think that's pretty similar to how I learned. I remember I got my first book when I was five or 10 years into it and it was such a foreign process because I was like, "Wait. I have to sit down and read 50 pages and then" ... It just didn't translate. I was like, "No. You just kind of figure it out as you go." You started programming when you were 15. I'm guessing the design was a little bit later than that. At which point did you realize this was not just something that was just a fun thing to do with your time, but it was something you were actually going to consider turning into a career? Neo Ighodaro: I think I was about 17 or 18. That was when I actually creating the skills unofficially. I had a couple of friends back then and they had these really nice names for their website. There was Aether Reality.net. They just had really, really random names and I was like, "I could come up with one," and I don't know. I can't remember exactly how, but I was thinking in the lines of, "What if you had a company that portrayed designs to die for?" I sort of just circulated around that concept until I got to the point CreativityKills. I can't remember how it clicked or when I clicked, but I just know at some point, I was like, "Creativity kills." It kind of had a negative connotation, especially culturally, but I felt like people needed to ask questions like, "Well, how does creativity kill?" It kind of was the one thing that I knew could make my brand stand out, because people became curious. Matt Stauffer: I love that. It doesn't give you all the answers just from reading it. It makes you ask questions and that's something you wanted. I mean, that clearly lines up with the story you're telling me is you literally walked over to somebody else in the café and said, "What is that jumble you're typing into your screen right now?" That's really fascinating. Did you have any people around you or any role models where you said, "Oh, I'm going to do this like that other person I know or that other person I've seen," or was it more of a just kind of, "Hey, this is a thing I can try out and see what happens"? Neo Ighodaro: For design, yes. The Tony guy, I really can't remember his name. I wonder why. Neo Ighodaro: But anyways, the Tony guy, I think I still have him on Facebook or something. He didn't know it, to be honest. I was just more of an admirer from afar type of person and I really liked how he designed and everything, so he was sort of my role model in design. But when it came to HTML and PHP and the other program language, I didn't really have anybody. It was just me. Just me and nobody else. Matt Stauffer: At some point, you went from, "What is this computer and internet thing?" to "What is this coding thing?" to "What is this design thing?" to "I know these things well enough that I could make things" to "I know these things well enough that I could convince someone else to pay me money to do it." Those are a lot of shifts to happen over the span of, I think, two years basically. There's not a lot of other people around you who are doing kind of development consultancies and design consultancies and stuff like that, so how did you figure it out? What were your early challenges? Who were your early clients? What did it look like for you to create CreativityKills and turn it into actually making income? Neo Ighodaro: I had to figure out every single thing myself. I didn't know anything about marketing. They didn't even cross my mind, to be honest. When I started, I created a website for it. I don't have the template anymore, but I was proud of it then. I'm not sure I would be now. Neo Ighodaro: I had this lady. She wanted to create a website for her NGO and she met me. She heard of me from my friend, so my friend told her, "Oh, I have this guy. He's probably be cheap and he does websites." Neo Ighodaro: Because I don't think I was using Google then. I was trying to figure out, "How do I make a website as dynamic?" and I think that's where I stumbled upon PHP. Somebody was talking about PHP and CGI scripts and all the stuff and I was like, "This seems like something to go into." Then I had about two months, so I gave a deadline of two months to deliver the project, so I had roughly about a month to learn PHP. PHP just jumped at me. I was like, "Let me just go with this one." I heard of ESB. I heard of a lot of ones, but PHP just seemed welcoming. I mean, that's the allure of the language, anyways. I was like, "I'm going to do this," and I jumped on it. The learning process was difficult. I didn't pick it up in one month. I actually just knew a bit, a few things, because of 30 minutes increments, 30 minute, 30 minute. At some point, I stumbled upon Greymatter and WordPress and then I was like, "Okay, so this kind of makes you build a website easily. I could do this. I mean, it doesn't look so complicated." I had to figure out how to host websites, so I hosted her website. I paid for the domains and everything and then in about two months, I came and said, "Hey, look at your website," and she paid me. I was so happy, like, "This is my first income. I did it alone." It was a happy moment for me, but from then on, I started feeling like, "What if I could take that one client and kind of expand my reach, try to reach other people?" I mean, one person old one person, so obviously, there's some sort of system to it. I started digging about SEO and I started digging into marketing and that's pretty much ... one thing led to another, and most of the things I learned, I had to learn because when you work to a certain degree, you hit a bump. Then you're like, "What to do next?" and then you get introduced to certain concepts, and then you learn about that. Then you hit another bump, and, then, "What do I do next?" That was pretty much my learning phase. I just kept on hitting bumps. Initially, it was the HTML. Neo Ighodaro: One thing leading to the other. Matt Stauffer: Yeah. You do what you can until you hit a pain point and then you figure out the simplest possible thing to fix that pain point and then move on to the next pain point. Matt Stauffer: Very cool. You were writing procedural PHP back then. This is pretty early. I'm guessing it was right past when WordPress was created. You got WordPress. You got into Greymatter. Did you spend just a couple years there, basically building HTML and CSS websites with some Photoshop design and some WordPress and some Greymatter? Is that kind of your bread and butter for a while before you made shifts over to things like Laravel? I mean, Laravel, obviously came out much later than that, but did you kind of sit in that space, or were there other kind of steps in your journey between then and Laravel? Neo Ighodaro: No. I sat there for a while. I really didn't think of structure or anything. I was there for a long time, probably a year or three years, between that range. I remember the first time I got introduced to CodeIgniter. I learned about CodeIgniter and I didn't really understand what MVC was. In my mind, I just wanted to write spaghetti code and be done with it, but I started seeing the benefits I made of separating concerns and I felt like it could help eventually. I mean, all those things I've created, plus it's a framework. It gives you a jumpstart and that was really what sold me. I didn't have to write my skill connect to this or my skill connect to that, I just put my details and I'm done. I got into CodeIgniter. After a while, I started ... my learning of PHP started evolving from spaghetti code to "How do we structure an application?" Then I started, and this is very interesting, actually. Because I didn't have a laptop or a PC. Laptops were a stretch. I didn't have a PC then. I had to do this thing. I decided to write a framework of my own, but I had just 30 minutes in a cybercafe, roughly. Matt Stauffer: Is this still a floppy disk that you're using, or is this what you're about to tell me? Neo Ighodaro: On the diary. Matt Stauffer: No. Now why couldn't you just save it as HTML files and PHP files down in your floppy disk? Neo Ighodaro: That's when I have access, but I don't want to go there and start thinking of what to do. Matt Stauffer: You're writing in the diary when you're not at the cybercafe as your brain is roiling over. Oh my goodness. Matt Stauffer:"Hey, did it work?" Wow. Neo Ighodaro:"Did it work?" "No." "Oh, bugs, bugs, bugs. Fix, fix, fix, fix, fix. Oh drat. I forgot this." Neo Ighodaro:"Yeah. I got to go home. Just log out. Go back home." Neo Ighodaro: And write, write, write, write, write, write. Matt Stauffer: And write more in your diary. Neo Ighodaro: There was this thing. Nigeria's a very cultural state and then there was this day my mom stumbled upon the diary. She thought I was writing a lot of demonic stuff. She was like, "Oh my God." Neo Ighodaro:"What is all this?" She literally thought I was possessed. Matt Stauffer: It's funny because I was going to ask about your family, so this is perfect. What did your family think about this whole thing? You're skipping class. I mean, I don't know if they knew you were skipping class, but you're doing these computer things. You're in the cybercafes all the time. Was that something that you got a lot of support for, you got a lot of criticism for, or were they kind of ambivalent, they weren't sure how to feel? Neo Ighodaro: A lot of criticism. An African family is a family that places a lot of value on education, so me skipping school then was horrible. I was literally the black sheep of the family just instantly. The day they find out, they were so disappointed. "How could you do this? Blah blah blah," and I was just staring, like, "Sorry." Then they were like, "We're really, really disappointed," and everything. Then the day they saw the writings on the book was my mom, she freaked out. She thought I was on some demonic tick and she was like she's going to call an entire family meeting, so the entire family gathered and they were like, "What is this you're writing?" Matt Stauffer: Right, right. Yeah. Code as if ... "It makes computers work." Neo Ighodaro:"Yeah, sure. Right." But I knew, deep down, I wasn't going to stop. Matt Stauffer: Oh no. Go ahead, go ahead. Neo Ighodaro: Really made me continue to really fight for it, just because I felt like it made me a rebel. Matt Stauffer: I love it. How long do you think it took before they really kind of understood, or do they now? Neo Ighodaro: Yeah, they do. It took a long time, until I was in the university, actually, and they started seeing some dividends like it was paying off. They were like, "Okay. This dude hasn't called us to ask for pocket money or anything, actually." Neo Ighodaro: They were like, "He probably is doing something right," and then they were like, "Okay, so what is this thing exactly?" Neo Ighodaro: They were willing to come to the table and ask me questions like, "What does it do? How does it work?" Neo Ighodaro: Then there's this thing in Nigeria, so there are internet fraud stars a lot. They scam people of money and blah blah blah, but the idea is back in the day, when they see you, any young person in front of a computer, that is the instant thing they think, that you're a fraudulent person, that you're being ... they called it a "yahoo yahoo boy." Matt Stauffer: They call it ... can you say it again? It didn't come through on Skype. Neo Ighodaro: Yahoo yahoo. Like "yahoo" twice. Neo Ighodaro: So they call you a yahoo yahoo boy. They were really concerned that that's what I was doing. Neo Ighodaro: They really wanted to know because it was illegal and they didn't want any of the stuff and I was like, "No. I promise it's not actually that. It's literally the opposite," and they sort of just went with it. I don't think they really believed. Neo Ighodaro: They just had faith, so I guess they started to come around from there. Matt Stauffer: That's fascinating and that transitions to the university. At some point, you were doing CodeIgniter, and I assume that was before university. At what point did you decide to go to university, or was this all happening at the same time? Neo Ighodaro: I was able to ace my exams and everything. Neo Ighodaro: That was the good part, so I didn't really need to go to school, because I knew if they found out that I didn't do a couple of tests, they would probably come and check the attendance sheet and everything. Neo Ighodaro: I made sure I aced most of my tests, most of my exams, but on the low-low, I was still trying to figure out what this entire programming thing was about. Matt Stauffer: All right, so you went off to ... what did you actually study in university? Was it programming, or was it engineering? What was the actual formal title of it? Neo Ighodaro: Mathematics and economics. Matt Stauffer: Is that something you use in your daily life right now? Neo Ighodaro: Very big no. Matt Stauffer: Well, yeah. I mean, I studied in English education when I was in school. I mean, technically, I don't use it, although the experiences I had there still inform me today. All right, so you went to university. You graduated from university. You got that degree. At what point did you transition from being Neo of CreativityKills who does kind of freelance contracting stuff to Neo who is, I mean, you're doing stuff out in the community. We'll talk about that in a bit. You're working at Hotels.ng. Now, I did see you had a blog post, I think it was in maybe 2016, so was this a pretty recent transition for you? Matt Stauffer: What was that like? Neo Ighodaro: Let me step back a little. I'll tell you another interesting story. Ever before I owned my first laptop, how I got it was there was this guy, Kolade, he had a friend who wanted a programmer on one of their projects and then it was like, "Neo, you need to get on this," and I was like, "You know I don't have a laptop." He was like, "Okay, you know what? I'll tell them. They'll get you a laptop and then we can go from there." I was like, "How do I pay for it?" They were like, "No, don't worry." I was like, "Okay, cool." Neo Ighodaro: I was so excited, but I just wanted to play it cool. Be cool, be cool, be cool. Then they brought the laptop and it was ugly. I appreciate it. Matt Stauffer: Right, right, right. Neo Ighodaro: I mean, I still have it. Matt Stauffer: It's a laptop. Nice. Neo Ighodaro: I appreciate it, but it was horrible, meaning if you unplugged the laptop, it would go off. Neo Ighodaro: The battery was finished. It was literally horrible. Matt Stauffer: It was like a big gray box kind of thing? Neo Ighodaro: Yeah, and the problem with that was the situation of power in the country. You could literally go for an entire 24 hours without power at all. The internet was so expensive, but, I mean, somehow, I was able to manage. I had to go to school a couple of times. There's this hub where you could plug your stuff in. Neo Ighodaro: I'd go there and plug. I remember some of those people always laughing at the laptop, like, "What is that?" Neo Ighodaro: I was like, "Just ignore them. Just ignore them and do what you need to do." Fast forwarding, I had a sort of big break, right? It was during the period where BlackBerry was very popular in Nigeria, so I created this website with PHP. I think that's actually the first product I've ever created for myself. Neo Ighodaro: It was called FlashDp. What it did was it used ImageMagick to create a GIF and then you were able to use that GIF as a display picture on your BBM, BlackBerry Messenger. I did it because ... back in the day, because I wasn't too rich. Let me rephrase that. I was poor, so I had to find a way to make money at least. Neo Ighodaro: I found out people really like these GIFs and I used to create them on Photoshop a lot and then I thought about it, like, "There has to be a way to do this in PHP or some language." I was like, "Let me try." I sat down that day and I used Kohana. I don't know if you know it? Neo Ighodaro: Kohana framework? So, I used it and I came up with FlashDp and I gave a friend ... I was hosting it on Pagoda Box, so I gave a friend, like, "Hey, help me try this stuff. See if it works," and I went to bed. The next morning, the server had crashed. Neo Ighodaro: Generate images over and over again, so I was like, "Let me try and reboot the server." I didn't really know about servers then, but it was a click and reboot thing. I decided to create another version two. I decided, "Let me just give everybody, make people use it." Right? Neo Ighodaro: I mean, it doesn't hurt. Then I gave people and I just put AdSense on it, and that was literally one of the best decisions I've made ever, because in the space of ... so I created it 2013 and in the space of about a year or two, I made about $37,000. Matt Stauffer: What? What? Just from AdSense? Neo Ighodaro: Yeah. And in Nigeria, that's huge. Yes. In Nigeria, that's huge. That was huge money, so I was able to get my first MacBook. I was able to get a nice Mac and literally that point was the turning point, because I had all the tools I needed. I didn't need to write in a diary anymore. Neo Ighodaro: I could practice it without need for power for a long time at least. I literally had everything I needed to actually become better and I felt so empowered. That was around the period when I was in school, so I had a lot of time to myself. Neo Ighodaro: A lot of time to learn, a lot of time to actually go back, and that's when I started redesigning CreativityKills again. I went back to the drawing board and I was like, "How do we appeal to people?" I spent about eight months creating that site and I released it. I think it was on adwords.com for an honorable mention or something like that. Neo Ighodaro: I was really proud of myself. I came out and I did it. It was crazy for me, but creating FlashDp itself was the turning point. That was the landmark in everything. Matt Stauffer: That's incredible. I feel like I could dig into just this part of your story for another hour. I'm trying to keep this short. I'm going to move on, but that is fascinating. You said that was 2013, so at that point, you had gone from CodeIgnitor, you had moved over to Kohana. Let's move into modern Neo. Let's move in to Laravel. Let's move into the Laravel Nigeria Meetup. Let's move into Hotels.ng. When did you transition from Kohana to Laravel and what made you make that transition? Neo Ighodaro: FlashDp made me make the decision. It was around this period where people were arguing about whether to use static methods or not, and I started feeling bad about Kohana because it had a lot of static methods. I was like, "Is there something out there that's better?" Neo Ighodaro: I mean, obviously there might be, so I started digging and I found out about I think was it FuelPHP? I think Slim. I don't know if Slim was really around then, but I know I saw a bunch of them and I heard of Laravel and I was like, "I like the name." It has a ring to it. That was literally the only reason why I jumped on it. Neo Ighodaro: I just liked the name. It was like, "I could try this," but I think it was around version four, around that period or something like that. I was like, "How does this work? I mean, it's usually the usual MVC stuff." Neo Ighodaro: I was like, "This seems cool," and I realized that every single thing I did was easy. You want to do this? Easy. You want to do that? Matt Stauffer: It just works. Neo Ighodaro: Easy. Yeah. I was hooked. I was like, "I'm sold." It was hard for me leaving Kohana, because I had built a lot of packages back then. Neo Ighodaro: I built a Honey Pot module or Coconut. I forgot on what they called them, but it was a package for Kohana then, so I was kind of tied to the community, but I felt if it's better with Laravel, I could just try it. That was my switch. I created version two of FlashDp using Laravel 4. I just basically kept on digging into Laravel and digging and digging and digging. I also picked up Objective C during that period. Neo Ighodaro: I got an iPhone and I learned to jail break in. I learned you could create awesome stuff using a language called Objective C, so I pretty much dived into it and started learning Objective C, creating jail break tweaks, and all that stuff. Matt Stauffer: For someone else? Neo Ighodaro: For another company. Neo Ighodaro: But I realized that if I was to run any successful business, you need experience. It goes without ... you just need it. I was like, "I need to pick the right company." You just don't jump into it, right? Neo Ighodaro: From, I think, 2015, I started scoping the Nigerian tech scene. Neo Ighodaro:"Who would I want to work for?" I was nobody. I wasn't really known. Neo Ighodaro: But I knew I was good, so I started digging and digging and I found nothing, to be honest. I found nothing that I felt I wanted to work for until I think 2016. I was still in Benin. I schooled outside Lagos, by the way. I was still in Benin and I went to a school called University of Benin. That's UNIBEN. Then I sort of heard of Hotels.ng and I didn't really think much of it. I hadn't heard much about it, so I was like, "Meh." Then I had a friend called Lynda. So, cool story, she was the friend of somebody I knew back in the day, so my friend had been telling me, "Okay, Lynda, she's really good. She's really good." I was like, "Who is this Lynda? Who is she?" I went online and I researched and I heard she was the head of product at Hotels.ng and so I just pretty much said, "Hi. Oh hey, how you doing?" Neo Ighodaro: Then we got to talking a little and then we kind of just hit it off pretty much. We were just talking and talking. Then I think I told her that I'm looking for a gig or something. I can't really remember the backstory, but I remember receiving an email. I came to Lagos because my mom had an accident. Neo Ighodaro: A very, almost mortal one. She was in a sickbed for a long time, so I was really sad. I came down to Lagos and went to see her in the hospital. It was a very bad, very depressing moment in my life, but, I mean, coming back gave me some sort of perspective on life, like, "Things don't last forever. You need to use whatever you have as quickly as you can," so I think I sent an application. I'm not really sure if I applied or not, but I remember receiving an email from Mark Essien, he's the CEO, and he was like, "Hey. I heard about you from Lynda. Can you come to the office for an interview?" My initial reaction was, "No," but I thought about it. Matt Stauffer: Even though you had sent something in to them, right? Neo Ighodaro: Yeah. Then I thought about it. I was like, "You know what? It doesn't hurt. Let me just go." Neo Ighodaro: That was literally my first interview ever. Ever. Neo Ighodaro: I was about 20-something then. Neo Ighodaro:"If this interview's to go like this, I'll literally fail because I don't know any of these terms. Give me a laptop." Matt Stauffer: Do you say that out loud? Neo Ighodaro: Yeah, I did. Totally. I didn't know any of these terms. Neo Ighodaro:"Just give me a laptop and I will show you what I can do." Neo Ighodaro: Then he looked at me for a minute or so and then it was like, "Okay." Then he left and then sort of, I just felt like I'd already gotten the job. Then he left me with the devs and they kept on asking me different questions, like, "This, that, that," and then one of them was like, "I think I've seen your CreativityKills somewhere." I was like, "Ha, sold." Neo Ighodaro: Then he was like, "Yeah. Can you show us stuff you've done?" Then I brought in my laptop and then I showed him ... I had this music site I created using Angular and PHP backed in on Laravel. I showed him, and the first thing he was like was, "Do you design your code?" Because it was so cleanly written. It was during a period where Jeffrey was always talking about, “small controller, thin controllers, this, that. Best practices, SOLID. This, that," and he literally asked me, "Do you design it? Do you sit down and format your code?" I was like, "No, not really. Maybe I have OCD or not. I don't know." But he was really impressed at the structure of the code and I was like, "Wow. He's never seen anybody designing this, like your code. You just write code. It makes no difference to the compiler, you know?" Neo Ighodaro: I was like, "I like to see my code as art. If I feel good about it, I feel happy, but I just don't want to jumble everything. He was like, "Cool." I think that was the day I got the job. I hadn't even gotten home and I got another email saying, "You're hired." He was like, "Can you start tomorrow?" and I was like, "Okay." Matt Stauffer: You were hired as a programmer upfront, right? Neo Ighodaro: Yeah, as a programmer. I hadn't even settled with the fact that just got my first interview. I already had my first job. Neo Ighodaro: I decided to go in and what really caught me was the culture. I've always had this culture, this ideology of what I want CreativityKills to look like and I literally saw everything right there. It was there, and that was what sold me. Everybody seemed so compact. It was a very good mixture of fun and work and that was literally what made me stay. Neo Ighodaro: Yeah, he is. Matt Stauffer: Joining this kind of giant, pre-existing thing. It was other people with a kind of same young Nigerian "figuring this out as we go" kind of mindset. Matt Stauffer: That's awesome. All right, again, I want to ask you an hour of questions about Hotels.ng, but because we're getting close on time, what I want to do is to talk about a few things real quick. First of all, we're going to talk about the Lagos tech scene, because you mentioned about how you looked around there, and it obviously exists, but I would guess that when you first started, there really wasn't much of a tech scene. I want to hear your thoughts on that. I want to hear your thoughts about the Meetup, and then the last thing, I want to hear about hoodies. Let's start with the Lagos tech scene. When you first started, you said there weren't a lot of people around you that you could look at. There weren't people who you were saying, "That is this person in my town who I want to be like. I identify with that person and I want to be like them," so do you have any thoughts? Did you watch transition happen where all of a sudden, there were other Laravel developers around you and other tech companies? Do you have anything to share with us about what that growth process looked like? Neo Ighodaro: Wasn't as prevalent as it is now, so I didn't really notice or see anybody. But the first person I did notice was Prosper. I just knew he was making a lot of noise. He's very, very energetic. He can shout, so he's an energetic person, and I kind of noticed him. I was like, "Who is this guy?" He was always saying, "Community, community." What is the community? What is it, exactly? Neo Ighodaro: There is no community. I'm not seeing anything. He just kept on going and I was like, "Maybe there is a community after all," and so getting to Hotels.ng kind of gave me a lot of ... because Hotels.ng is kind of a big scene when it comes to tech. We like to support tech a lot, and it kind of gave me ... it's almost like I swallowed something and now my eyes were opened, and I sort of saw that there was potential. There were a lot of people, but there was just no real leadership. People were not just organized, but the people were there. It's just like Lego blocks. They were there, but nobody could put them together. Neo Ighodaro: That was literally how I noticed, and I realized that what Prosper was trying to do was to get people to come together. Neo Ighodaro: And create that actual community that he was shouting about. That was when I realized that it's possible for us to create something that would kind of unite every single hungry developer, for any developer that's been hungry for knowledge for a while, we can unite them and people could come out and give speeches. Then we did a lot of research on Meetups and conferences. From there on, it has been up, up. I've just been noticing that. People have just been waiting, literally, for someone to start, and once there was that spark, it just happened so quickly. Everybody was, "Meet up here. Meet up here. Meet up here." Right now, as I speak, they're having a G2G Summit and a bunch of others. Next week, I have about ... the entire week is literally booked up. Neo Ighodaro: I have a talk in Android Nigeria and there are a lot of Meetups coming up everywhere. Matt Stauffer: So, this is all pretty recent? Neo Ighodaro: Yeah, yeah. I would say about three years, two years. Matt Stauffer: Because I mean, I follow you on Twitter and I see you posting stuff about a Meetup or a conference, it feels like every week, you're at a different place meeting new people. So this is all just a couple years old, then? Neo Ighodaro: Yeah, yeah. Pretty much. Matt Stauffer: Did I hear you right in saying it's not that that tech scene wasn't there, but it was very kind of individualized, like people were really kind of in their own world? A lot of people probably have a pretty similar story to yours, where people are figuring it out on their own and just recently there was ... Prosper helped. You helped, and probably other folks helped realizing there's a lot of potential if we bring all these people together in one, and all of a sudden, they're exploding. So, I'm seeing you nodding, but I asked you a question. Is that a safe way to say it? Neo Ighodaro: Yeah, yeah. That's literally how it happened. Matt Stauffer: What do you think the thing that kicked that ... could you point to a single Meetup or a single person or a single event, or were there a lot of them kind of all starting up at the same time? Matt Stauffer: Sure, but from your perspective. Neo Ighodaro: Yeah. It was the one I noticed first and it kind of had the ideologies that most Meetup outside the countries have, like you just get a bunch of coders to come to the table and just talk about new tech. Neo Ighodaro:"Let's see how this goes," and it was really successful. I mean, we're having not as much numbers as we have now, because it was just starting out, but that was the first Meetup I've heard of from my own perspective, so I think that was the turning point for everything. I will literally say ForLoop. Matt Stauffer: Do you remember, when you first spoke at ForLoop, when that was and how many people there were there at that point? Neo Ighodaro: I'm not too sure about when, but I know the first one I attended, because we hosted it in my office. We used to host Meetups at the Hotels.ng. I think there were about 80, between 50 to 80 people. Matt Stauffer: The Meetups in my local town don't get that many people most of the time and they've been going for years. I mean, and you've noticed people are getting excited about Laravel Nigeria. I mean, part of it is because you never heard of it at all, and then all of a sudden, you've got 400 people and you're running out of space for people to sit. The rapid success that you've seen ... you say you don't remember, but it was at your office, so it had to have been within the last year probably, right? Matt Stauffer: Yeah, so this is very, very, very recently. I mean, you went from attending ForLoop the first time with 50 to 80 people. You went from speaking at ForLoop for the first time. You went to helping kind of Prosper and Lynda and others create Laravel Nigeria. For it not existing at all, to all of sudden having hundreds and hundreds of people and running out of space and we're all talking about the span of basically the last 12 months or less. This is a pretty incredible growth process and that's why people, they're saying, "Wait a minute. Where did this all come from?" And that's why I asked the question about the tech scene. It didn't come out of nowhere, but the organization that gave the space for it to be seen and to for it to be brought together seems to really happen quickly, but what it did was it touched on something that's been there for a long time. Right? Matt Stauffer: It's individuals. It's an entrepreneurial spirit. It's the desire to do all these things and the motivation to do it even when you only have 30 minutes at a time, even when you've got rolling power black and stuff like that. There's something. There's a reason where a lot of people keep saying, "Whoa. Keep your eye on Nigeria," so that's ... I mean, again, I could talk a whole hour about that, but I'm trying to keep everything short here. All right, so we talked about the Lagos tech scene a little bit. We talked about the Meetup a little bit. I do want to hear you give a pitch, where if somebody has never heard of Laravel Nigeria, give me a pitch about what it is and I asked you a lot of questions when we first talked about well, where people are coming from and what are your timelines and what are your goals, and all this kind of stuff. So, tell me a little bit about the Meetup. Tell me a little about where it is right now. When's the next one going to be? What are the things you're excited about? What are the things you're nervous about? What are the difficult and exciting parts about doing it? Neo Ighodaro: I remember when I thought of Laravel Nigeria initially, it was around December 2016, and I talked to Prosper. That was one of our first few conversations, and I was like, "What would it be like if we had Laravel in Nigeria?" I initially called it, I can't remember the name, but I called it something different. It was like, "You know what? That seems like a good idea. Why don't we do it?" I had zero knowledge on Meetups, like zero. I literally didn't know where to start, and they were like, "Okay." Then we kind of just didn't do it, so January passed. February passed. March, I can't remember when we did the first one, but all of a sudden, I just woke up one morning. I was like, "Let's just do it," and then I called him. I met him at a café, Café Neo, funny enough, so there's a café in Nigeria called Café Neo. Neo Ighodaro: I met him there and I was like, "Guy, we should do this thing, but I want to speak in pidgin." Pidgin is a weird form of English that we speak in Nigeria here. Matt Stauffer: Really? I had no idea. Neo Ighodaro: Yeah. It's called pidgin English. So, I'm like, "Guy, we could do this thing now." Literally saying, "Guy, let's do this stuff." Then he was like, "Okay. How do we start?" Then I was like, "We should create a Meetup page first." He was like, "Okay," so I tried doing my card and it didn't work, so he did. His card worked, and he created a Meetup page. I created a Twitter page. I started working on the website. Generally, I just noticed people were joining the Meetup page and we hadn't really started talking about it. We just put a couple of things there and say, "We might be hosting a Laravel Nigeria Meetup." Might. That was the word, might. Neo Ighodaro: Then people were like, "Oh, this is great. This is great. This is great. This is great." The Meetup page was just going higher and I was like, "What is happening?" Then that kind of put pressure on me to actually do the Meetup. Neo Ighodaro: Because I was kind of nervous that it would fail. I remember telling some of my colleagues at work that, "I don't know if I can actually do this. I mean, it's huge." Neo Ighodaro:"It's a huge thing. I don't have the money to sponsor it, but how would I do it?" Then someone was like, "Just ask for help," and I was like, "That kind of makes sense." The strategy I did was I went to the Laravel source code itself. I was like, "Okay. 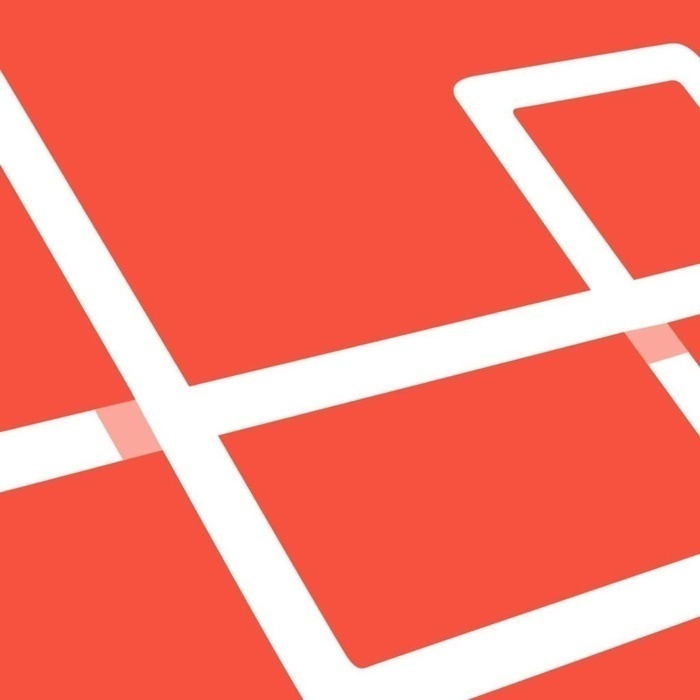 What companies are generally interested in Laravel?" I mean, that would be the companies that are more likely to support, right? Neo Ighodaro: I looked and I saw Pusher. I saw Nexmo and a couple of others. I was like, "Okay. Pusher, Pusher." Then I spoke to ... I think around that period, I just started guest-writing for them, so I messaged someone in their team and she was like, "That sounds great." I was like, "Cool." I didn't really believe it. Of course, she was like, "Yeah, sure." Neo Ighodaro: Back then, we had about a hundred people who RSVPed and I was feeling like it wasn't enough, but she was really, really, like, "Oh my God. A hundred?" I was like, "Yeah." Then she was like, "That's huge. We will support." I mean, that's the journey. We started getting people to support the entire thing. We couldn't use Hotels.ng space because 100 people, it wouldn't fit, so we talked to Andela, which is a company that outsources developers to bigger companies and I think Facebook invested in them recently. I talked to them and they were like, "Yeah, sure. Why not? I mean, we're all for the community. Yay," and I was like, "cool." So, we had that. If I was to tell someone about Laravel Nigeria, I would literally say from my own perspective, it's the belief that you can bring something out of nothing, the belief that you don't have to know about it to be able to do it. You just need to take the first step. Nobody's perfect at anything, and Laravel Nigeria was a shot in the dark, granted, but it was a lot of hard work and that shot paid off. I mean, it might have not paid off, but it did. I wouldn't have known if I didn't try, yeah? Neo Ighodaro: What we try to do now is tell people, "Hey, talk to everybody. Try and get people in remote communities, because right now Lagos seems like the place where a lot of things are happening." Neo Ighodaro:"We want people from other states. Mobilize your people. Try and get people to attend Meetups." In the past one month or two months, I've attended Meetups in places where I didn't expect people to come. I'm like, "Wow. Okay. Crazy." This is viewed as a state where you're like ... I didn't expect so many people to come out. People were out, and I was like, "It's happening." Laravel Nigeria is literally the belief that there are a lot of people out there. There are a lot of people who want it to happen. There are a lot of people who are hungry for this knowledge, a lot of people who already know, but just need a platform to come out and start speaking. This has given them a lot of them hope and a lot of that platform they need to really come out and be leaders, because that's what we want to create, a lot of leaders that can lead the new generation of developers, basically. Matt Stauffer: I love it. I've said a thousand times I could talk for another hour. I can't, but I'm going to wrap it up with just three more questions. Matt Stauffer: Number one: you're a hoodie enthusiast. What makes the perfect hoodie? Neo Ighodaro: The color black. Matt Stauffer: I was just going to say, "You're a black hoodie enthusiast." And you walk around with the hood up all the time. Matt Stauffer: Do you want it to be thick? Do you want it to be thin? Do you want it to be stretchy? Do you want it to be not stretchy? What's the perfect hoodie for you? Neo Ighodaro: Stretchy. Not thick, because we live in a very hot climate, so not thick. It should really cover my face. I used to be very timid. That's why I fell in love with hoodies. With a hoodie, I felt like nobody sees me. I'm invisible. Matt Stauffer: Right. You're protected a little. Neo Ighodaro: Exactly, so it just sort of made me feel very protected. Right now, I don't feel that way, but I've grown to the point where I really love hoodies. I love the ideology behind it. I don't know why, but I'm just attracted to it. It's like that, but it has to be black. Matt Stauffer: Okay. A thin, black hoodie. Matt Stauffer: I got it. That makes sense. Next thing. Has there been one piece of advice or something someone said to you that really has stuck with you across your career? Neo Ighodaro: Not really, but remember my mom, so there was this period and she probably wouldn't even remember saying it. The period when we had these hardships and people didn't understand what I was doing and my family was wilding out and everything. She called me and she told me. She has this habit of waking me up by 3:00 AM if she wants to discuss some very specific stuff and then she woke me by 3:00 AM. I was sleepy-eyed and she was like, "I don't know what you are doing, but if that's what you want to do, then do it." I was like, "Okay," and I went back to bed. Neo Ighodaro: But literally ever time I decide to do something, I just remember that point like, "If it's what you want to do, just do it. Literally, just start," so every single thing I've done ever since has just been with that thing in mind. "Just do it." Excuse me. It really can be difficult, but you would never know if you don't do it, so I think that would be the one watch word that I always ... if I want to pick up a new programming language, just do it. Just start. Matt Stauffer: I love it. And the one last thing is, is there one part of your story, one part of what has gotten you from 13 years old, first walking into a cybercafe, between there and here where you say ... and obviously, there's many of these moments, where you say, "If that thing hadn't happened, if that person hadn't done that thing or if I hadn't tried that one thing or if I hadn't whatever, I'd be in a completely different place now." Is there one really kind of significant thing that you really reflect on often? Matt Stauffer: Wow. Tell me more. Neo Ighodaro: If I wasn't bullied in school, I probably would have just been ... because, like I said, I was very book smart. I probably would have studied something very differently probably, but the bullies just kind of forced me to move away a little and have some sort of new passion. Back then, I really didn't have any passion. I was more of an introvert, so I didn't really have any passion. I just liked sitting at home reading books, so I think that point was a big turning point, even if I didn't realize it then, but it was a huge turning point in everything. Matt Stauffer: Man, that's amazing. I mean, not amazing that you were bullied, but amazing how that could be redeemed and turned into the whole story that you just told me. I've got to make another podcast so I can talk to you for longer or something. I don't even know, but this has been amazing. I really appreciate your time and for sharing with us. I really am thankful for your contributions to the Laravel community. We all benefit from it, and before we cut for the day, is there anything you want to tell people or anything you want them to know about or anything like that, or do you feel like we've covered everything here today? Neo Ighodaro: That are probably going to listen to this, I think a lot of people keep asking me like, "Oh, how were you able to this? How were you able to do that?" It's really not that difficult if you think about it. I mean, there are going to be challenges every single time. I tell them, "If you have something and you didn't have to work for it, you will not appreciate it. There will be challenges, but in hindsight, when you think about the challenges, they might not be as big as you are making them seem. Yes, we don't have a lot of power in Nigeria, but I mean, there are other ways around it. You could probably get a generator or you could ... I mean, just in whatever way you want to, try and feed your imagination. It doesn't only apply to coding. It could be anything, literally. I feel like anybody can be anything they want, you just need to get yourself out of the way first." Matt Stauffer: That's beautiful. Is there anything in pidgin that all your friends from Nigeria would totally flip out if they heard you say as the last words of the Laravel Podcast? Because if there is, say it, and that'll be the end. Neo Ighodaro: Let me see. Now don't listen to Laravel Nigeria. Now don't hear the podcast from Matt Stauffer, so as [inaudible 01:03:41], anything is possible. I was literally nothing before, but now that that they see me, I'm on Laravel Podcast and it's been a dream. I'm really grateful for it, and I appreciate it. So, thank you. Matt Stauffer: I love it. Thank you so much for your time, Neo. Neo Ighodaro: All right. Thank you very much.